Thank you for making our conference great! 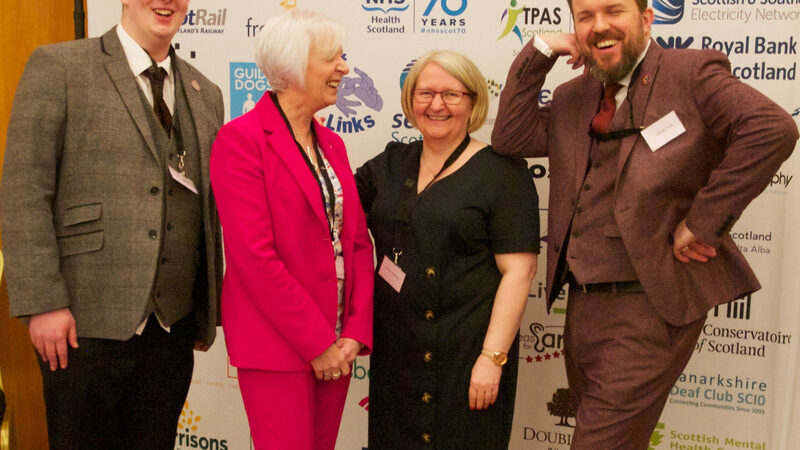 deafscotland and Disability Equality Scotland would like to thank all the delegates, stall holders, workshop leaders, language/communication support professionals, sponsors and the hotel for making our Scottish Sensory and Equality Conference 2019: Communication for All a great day. We will write a report of the day and publish it on our website once the evaluation is complete. Human Rights Training just announced! Safety Survey is now live! Previous Post Safety Survey is now live! deafscotland is the outward facing brand of The Scottish Council on Deafness (SCoD).